The 36" Welby Single Bath Vanity in white is both functional and stylish with its diverse storage options and clean modern design. 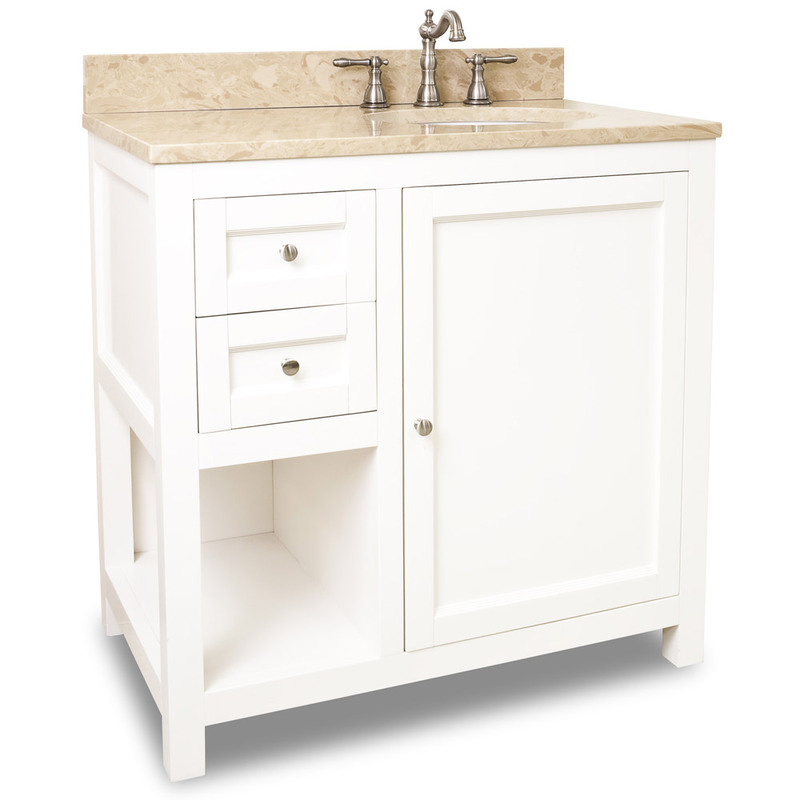 The white finish provides a light, clean feel while the cream colored marble top adds a touch of warmth to the vanity's look. 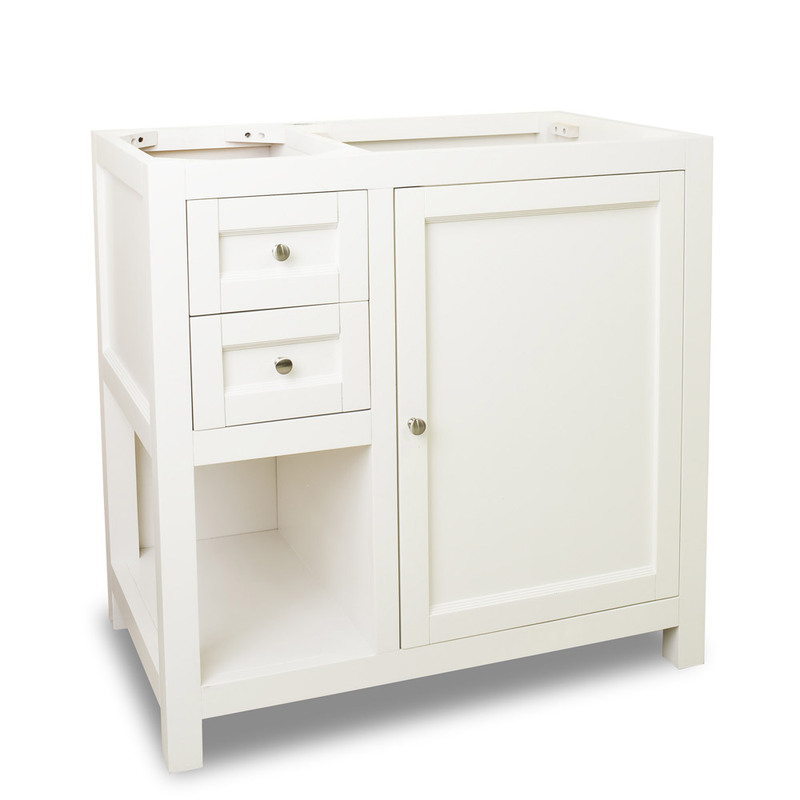 The vanity offers storage in the form of two full extension drawers, an open shelf and cabinet with adjustable shelf. 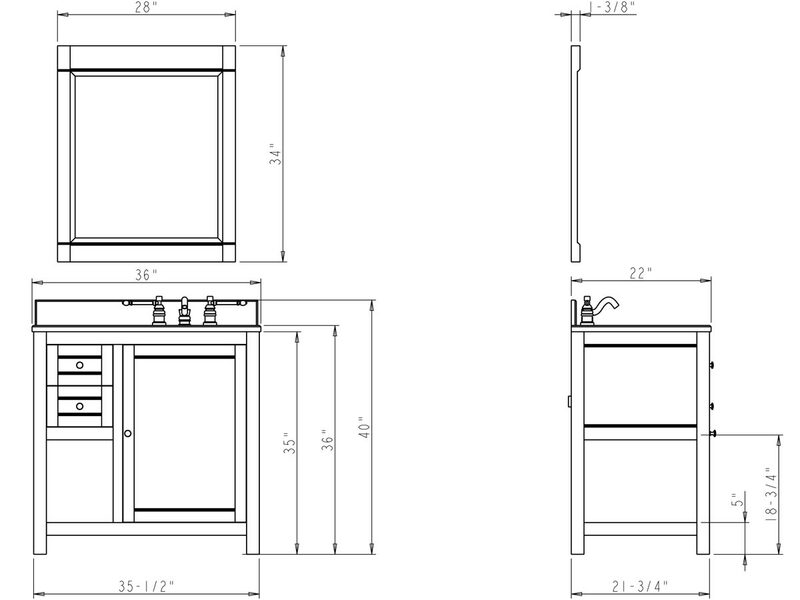 The cabinet and drawers feature Soft Close hardware, which prevents them from being disruptively slammed shut. 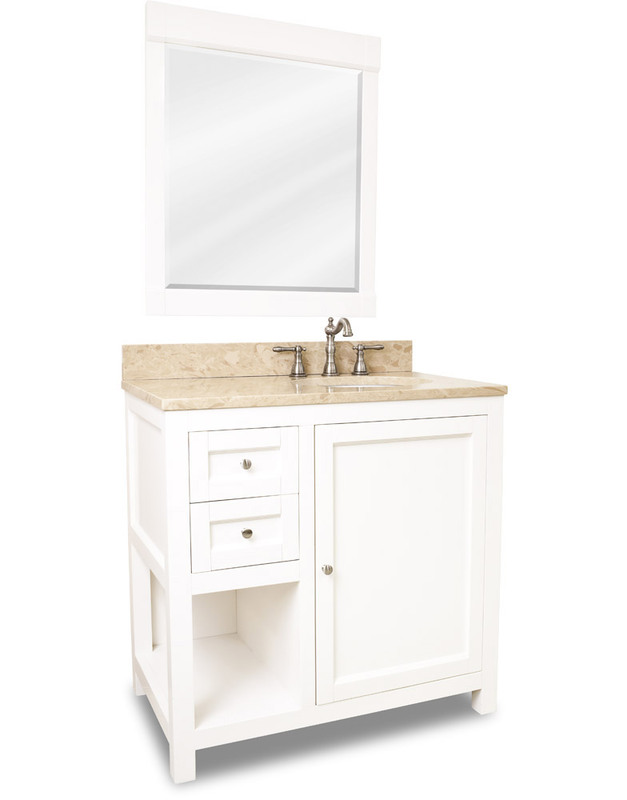 The vanity is available with or without the counter top and bowl, making it easy incorporate into your bathroom decor. 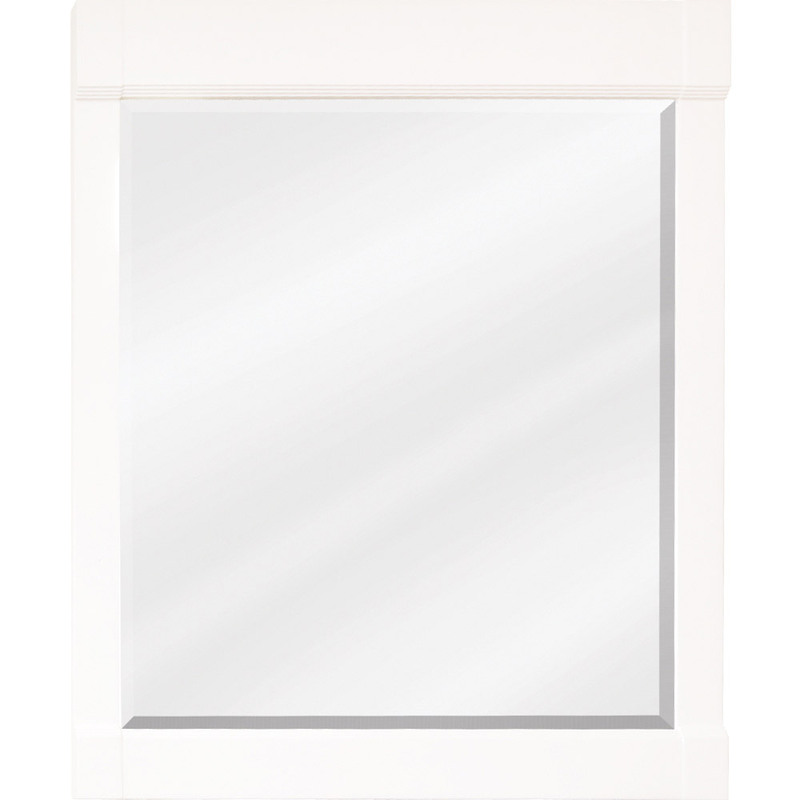 A matching framed mirror is also available to complete this vanity's modern look.